You will find on these pages hundred of celebrities with Mercury in Pisces and Saturn in Virgo. 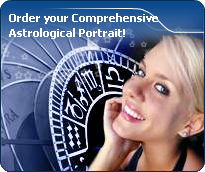 Just click on the names of your choice to see the horoscopes of celebrities who have Mercury in Pisces and Saturn in Virgo. Matthew Gray Gubler (born March 9, 1980) is an American actor, film director, sketch artist, and former fashion model. He made his début in the film The Life Aquatic With Steve Zissou (2004) as Intern #1, and is best known for his role as the young genius Dr.
Ravi Shankar (Bengali: রবি শংকর; born Robindro Shaunkor Chowdhury, 7 April 1920 – 11 December 2012), often referred to by the title Pandit, was an Indian musician and composer who played the plucked-string instrument sitar. He has been described as the best known contemporary Indian musician. Radric Devonte Davis (born February 12, 1980) better known by his stage name Gucci Mane, is an American rapper. He debuted in 2005 with Trap House followed by Hard to Kill in 2006, Trap-A-Thon and Back to the Trap House in 2007. Luke Evans (born April 15, 1979 (birth time source: by email, and twitter) is a Welsh theatre and film actor. He is known to theatregoers for his stage roles in Rent, Miss Saigon, Small Change and Piaf, and to filmgoers for his roles in The Three Musketeers, Clash of the Titans, and Tamara Drewe. Lou Andreas-Salomé (born Louise von Salomé or Luíza Gustavovna Salomé, Луиза Густавовна Саломе; 12 February 1861 (birth time source: https://www.astrologos.de/2008/02/12/das-horoskop-von-lou-andreas-salome/ but no original source available) – 5 January 1937) was a Russian-born psychoanalyst and author. Her diverse intellectual interests led to friendships with a broad array of distinguished western luminaries, including Nietzsche, Wagner, Freud, and Rilke. Sophie Michelle Ellis-Bextor (born 10 April 1979) is a multi-platinum selling English pop singer and songwriter. Her music is a mixture of mainstream pop, disco and 1980s electronic influences. Sophie Ellis-Bextor was born in West Middlesex, England to Janet Ellis, then an actress, but later better known as a presenter on the TV series Blue Peter (on which Sophie appeared with her mother at the age of six, modelling snoods), and Robin Bextor, an award-winning film director. Salim Kéchiouche is a young French actor. He was born in Lyon (France) (birth time source: Astrotheme, civil registrar, acte n° 844), on April 2, 1979. While only 15 years old, he was first discovered by French actor/director Gaël Morel. Morel gave him his first role in a feature film in the movie À Toute Vitesse (Full Speed), released in 1996. Éric Rohmer (March 21, 1920 in Tulle (source: Didier Geslain, birth certificate) – 11 January 2010 in Paris) was a French film director, film critic, journalist, novelist, screenwriter, and teacher. A key figure in the post-war New Wave cinema, he was a former editor of influential French film journal Cahiers du cinéma. Eugenia Last, born March 26, 1949 in Toronto, Ontario, is a Canadian astrologer.